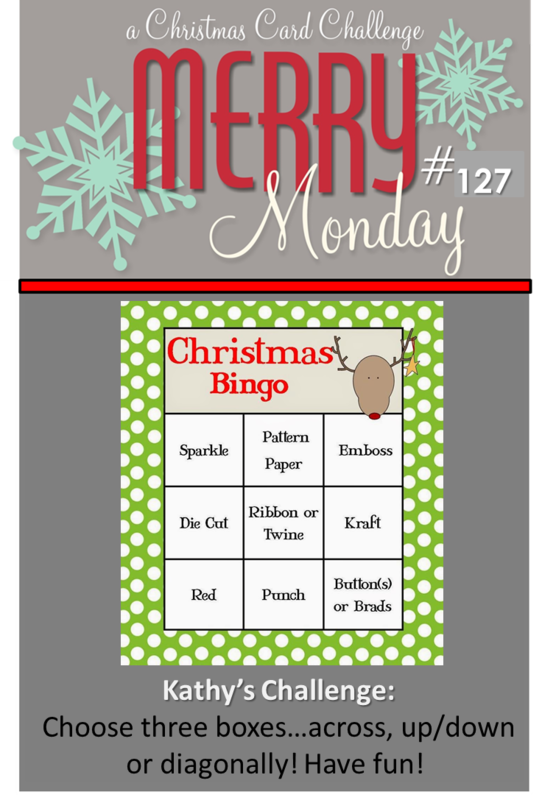 It's Merry Monday time and this week the fabulous Katie has challenged us to use polka dots and/or stripes on our cards. 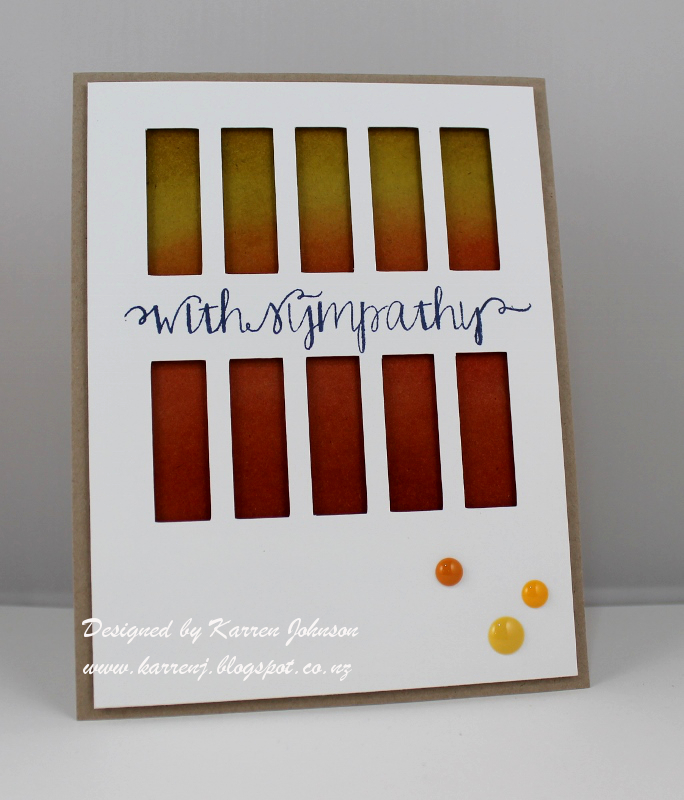 My background was inspired by a card recently posted by Nichol Magouirk on the Simon Says Stamp blog. Once I'd masked the moon and sponged the background in various colors of Distress Inks, I over-stamped the trees with Black Soot ink before sponging white ink through a snow stencil. The deer were silver embossed across three layers separately then married back up again. What is hard to see in the photo is that the "snow banks" are striped DSP. Thanks for visiting. 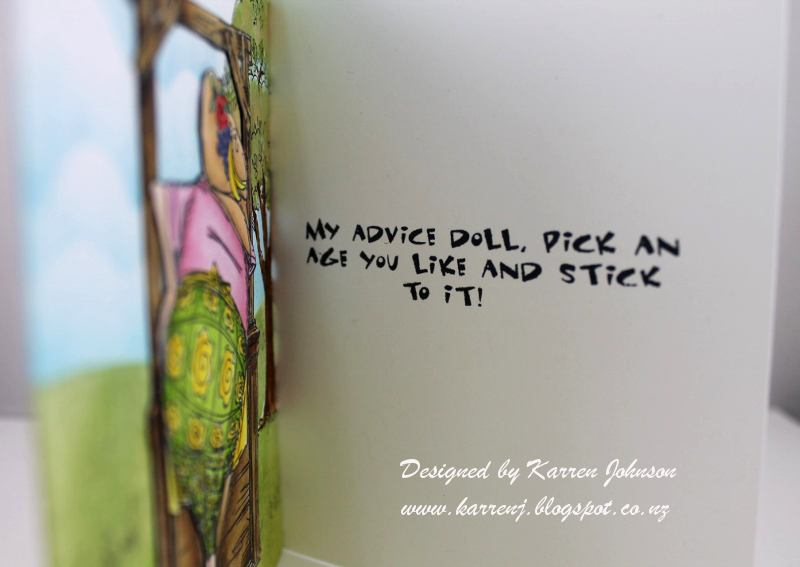 Head on over to Merry Monday to check out what the rest of the design team have been up to. 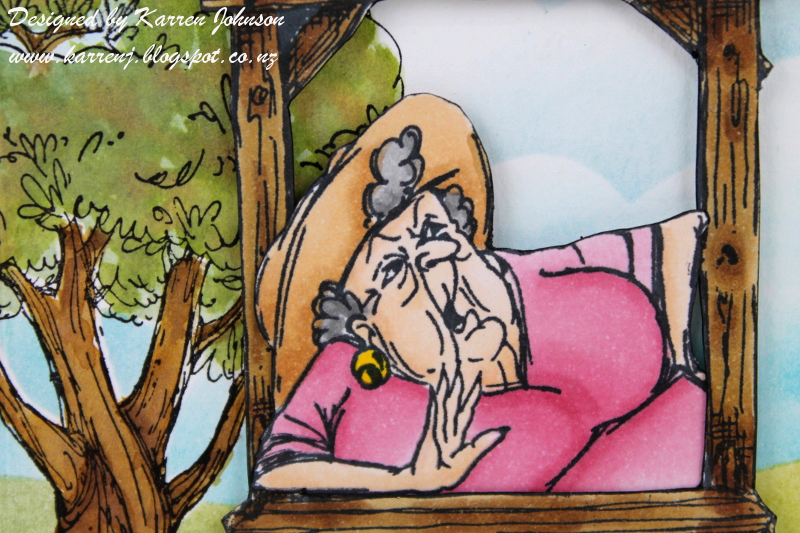 When I saw that my friend, Lesley Croghan, is now on the Art Impressions design team, it reminded me of the fun Art Impressions stamps I bought about 10 years ago, so I decided to dig them out and have some fun. I'm doing the Copic Online Card Class and wanted some more practice coloring people. These stamps are "Front and Backs", which means there is a front view and a back view. How fun is that! 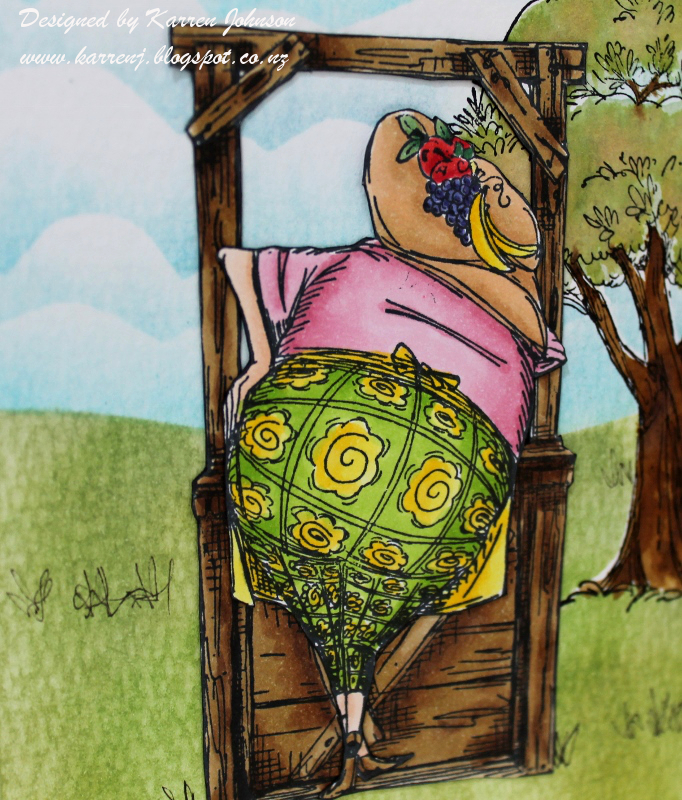 I colored Fanny and the wooden stand with Copics on Xpress-it cardstock before cutting them out. The tree was stamped onto watercolor paper and colored with Distress Inks before being masked off. I then sponged the sky and grass before drawing in some tufts of grass with a Copic Multi-liner pen. Again, Fanny and the wooden stand are colored with Copics and then cut out. Hi and welcome. Here's a card I made today using the colors from the Card Concept (clean and simple category) and the inspiration photo from Just Us Girls. We don't celebrate Halloween over here, so I concentrated on the yellow and red flowers in the barrow. 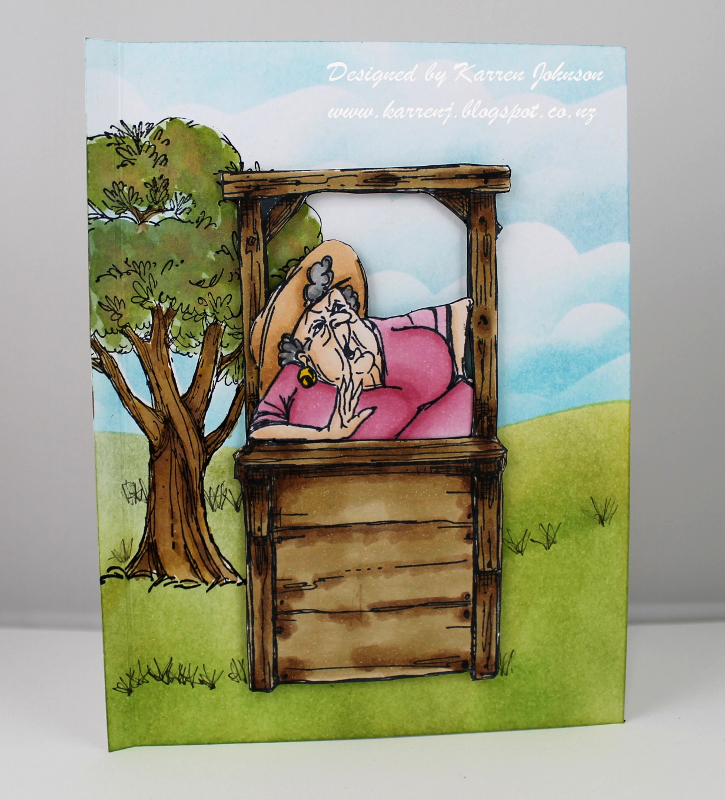 There was a lot of masking in this card! I started by cutting a tag shape then stamped the various flowers and leaves from Pretty Peonies in the bottom left corner. 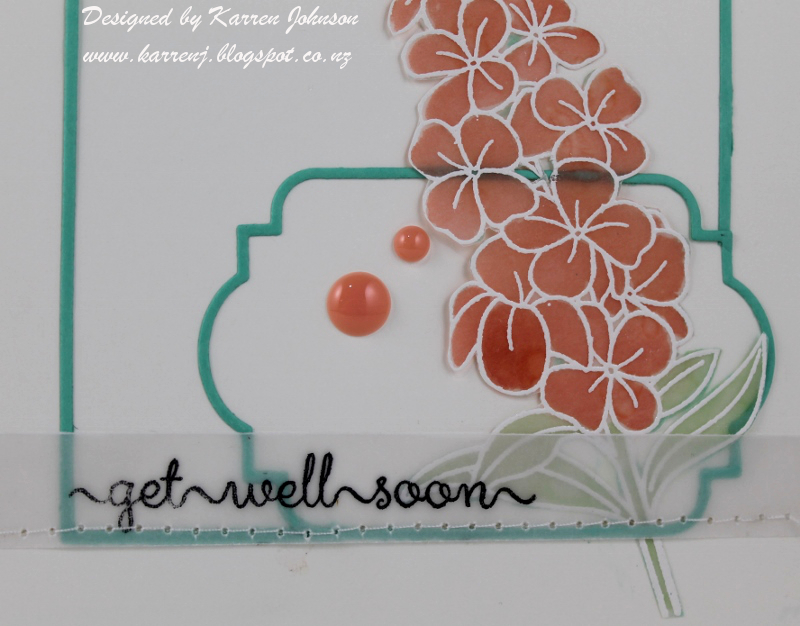 I then decided it would be fun to do the same stamping on the card base using the larger peonies in the set. The tag is popped up on dimensional tape. 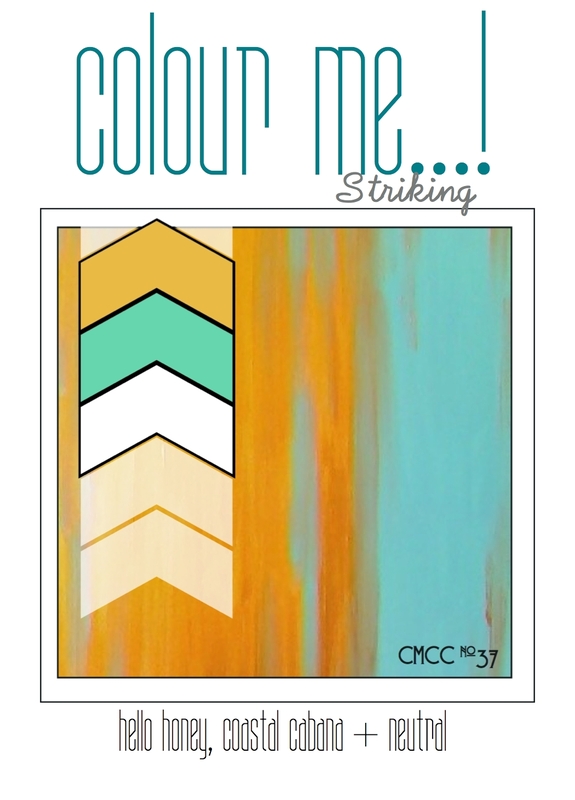 Today I have a card I made using this week's colors from ColourQ and the sketch from CAS(E) This Sketch. Unfortunately, I am in need of a sympathy card and this is what I came up with. 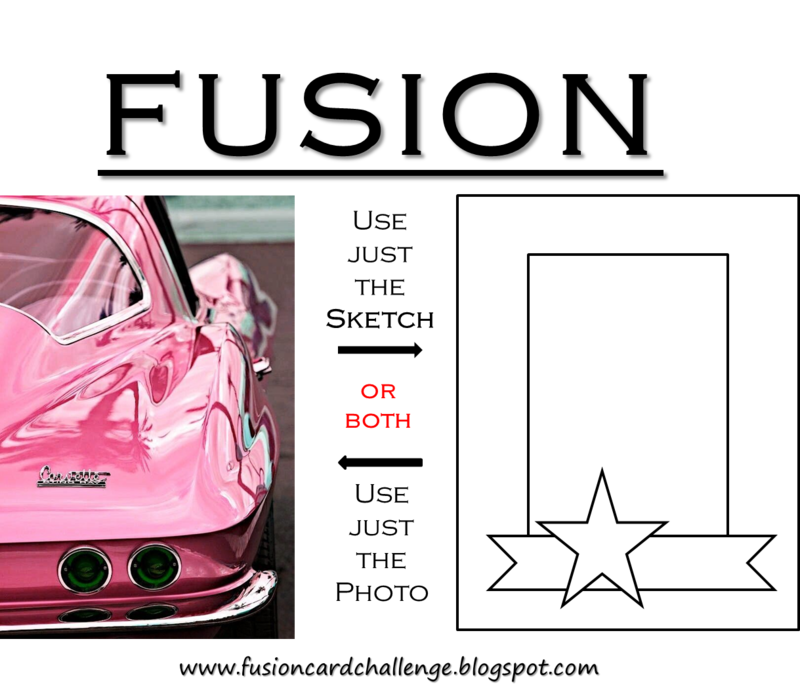 I drew a rectangle in my Silhouette program and then copied it to create the cut file used to create the white panel. 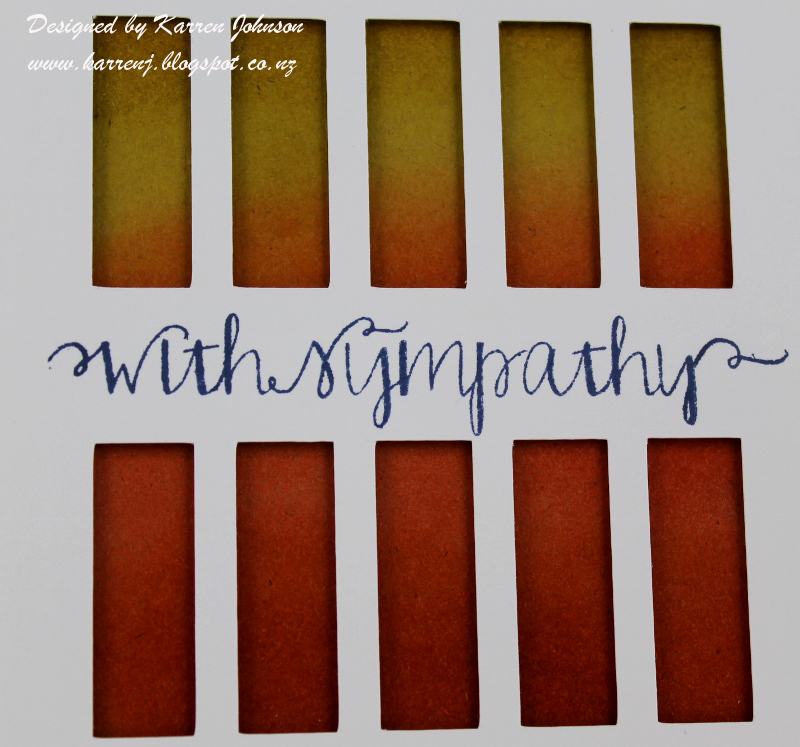 I sponged yellow and orange ink onto the Crumb Cake card base then stamped the sentiment in Night of Navy ink onto the white panel. 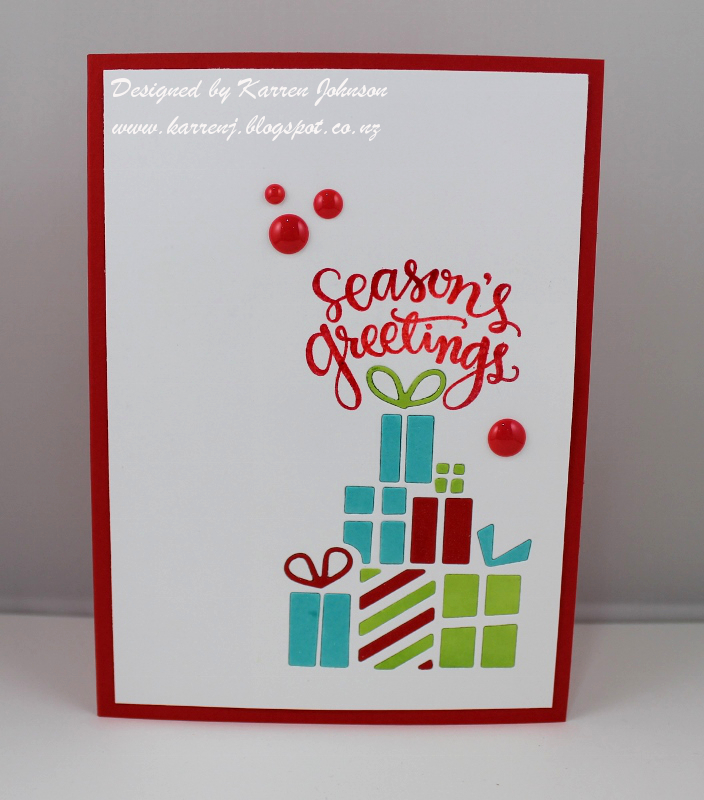 I then used dimensional tape to pop the panel up on the card base and finished off with some enamel dots. 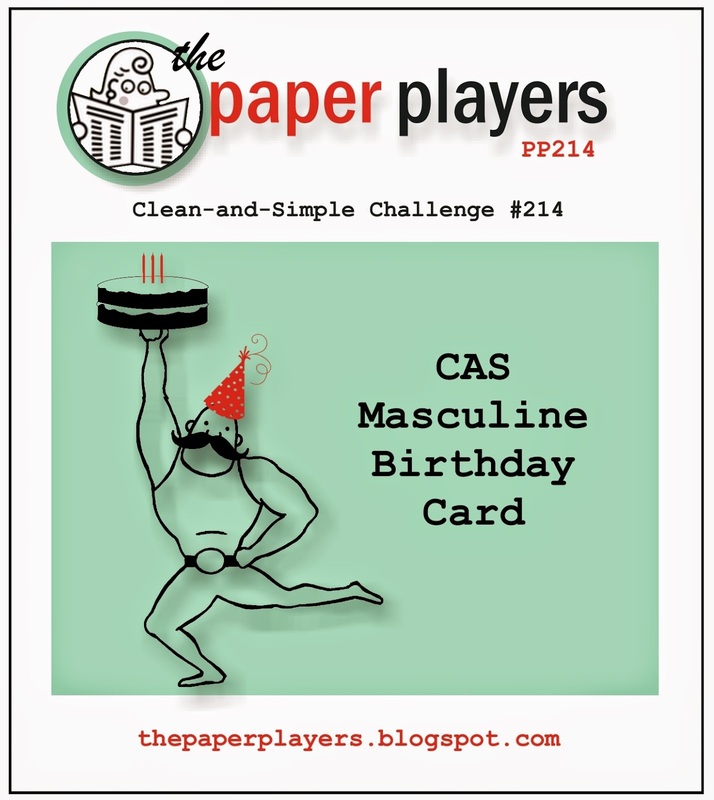 For my card, I decided to make a masculine card which also meets the challenge requirements at The Paper Players. I went with a bright and graphic card today, using a NBUS stamp set from WPlus9 called So 80's. I stamped the word "awesome" in Real Red ink then fussy cut it out. The "hope your day is" was black embossed before being cut out. The tag was cut from some of my precious Cool Caribbean cardstock and the half-tone image was clear embossed onto it to add interest. The patterned paper is adhered directly onto the card base but the white layer was popped up on dimensional tape, as was the tag. Thanks for visiting. 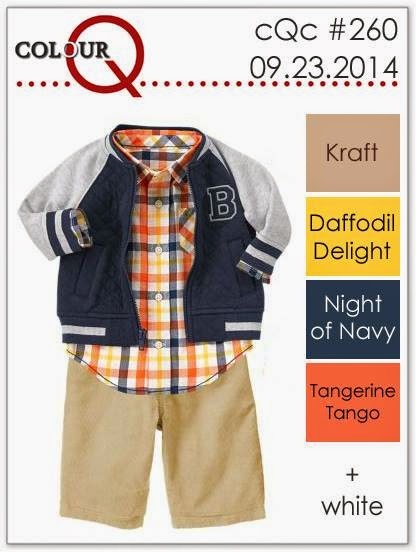 Please be sure to check out the wonderful samples from the rest of the design team. Edited to Add: This card was chosen as "A Cut Above" at Paper Players. Hi and welcome! 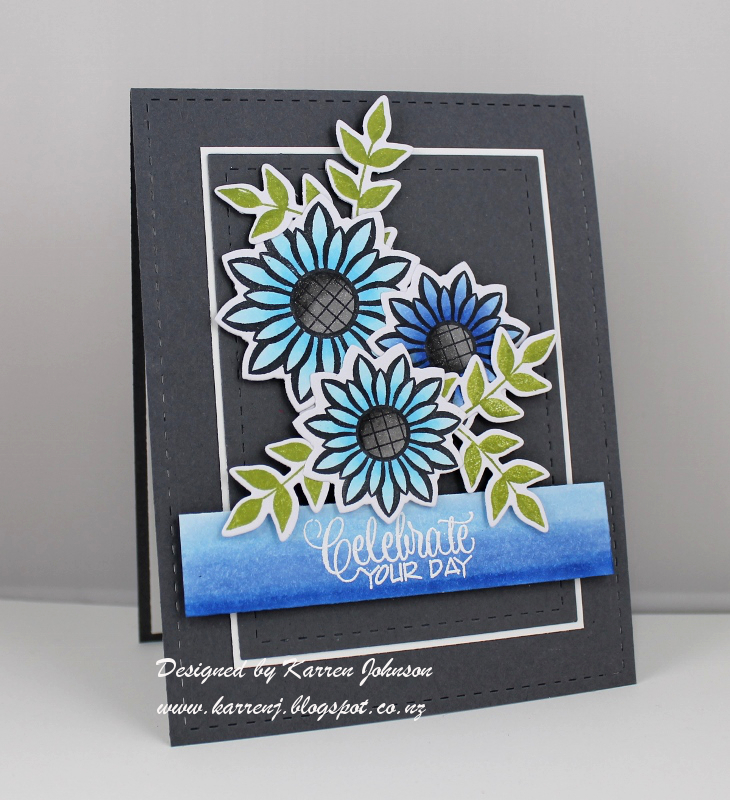 I'm so excited because today I get to be Guest Designer at Color Throwdown because my card was chosen as Featured Stamper last week. How cool is that!!! Aren't they gorgeous? I had the intention of doing a very clean and graphic card using these crisp colors, but somehow I ended up with this card. 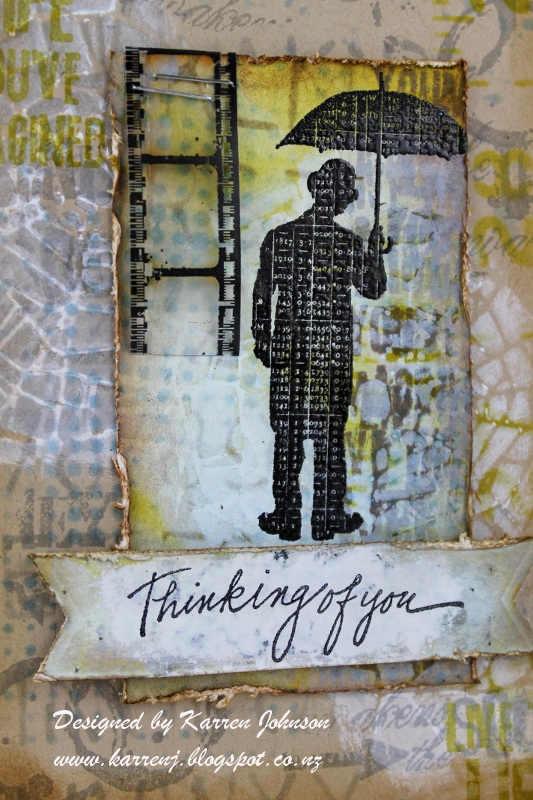 It might be hard to see where all the challenge colors are, but they are in there :) I'd just received an order which had a lot of Tim Holtz layering stencils and the Mini Muse stamp set which has this "umbrella man" stamp which is one of my all-time favorites. So of course, I had to use it all! The card base is Crumb Cake. I sponged over several stencils using Stormy Sky, Crushed Olive and Pumice Stone distress inks, as well as Smoky Slate ink from SU. After that, I used Picket Fence distress stain and the Shatter stencil for some white highlights. The main panel is watercolor paper that I coated with Pumice Stone distress stain, then painted over with Crushed Olive and Stormy Sky ink. I also used some Picket Fence stain on this piece as well. Umbrella Man is clear embossed over black and then the "Live the life you've imagined" stamp was stamped several times down the right hand side. The edges of all panels were distressed and sponged with Vintage Photo ink. A tiny little piece of filmstrip ribbon was stapled to the top left corner. For the sentiment, I used a leftover piece of painted watercolor paper and dabbed on some Picket Fence paint to give more of a blank panel. After that dried, I stamped the Penny Black sentiment. Thanks for visiting. 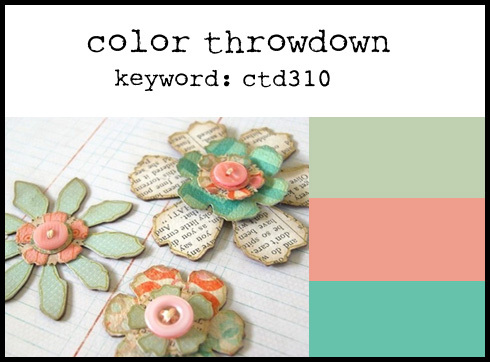 Be sure to check out the wonderful creations from the Color Throwdown team - their work is amazing! 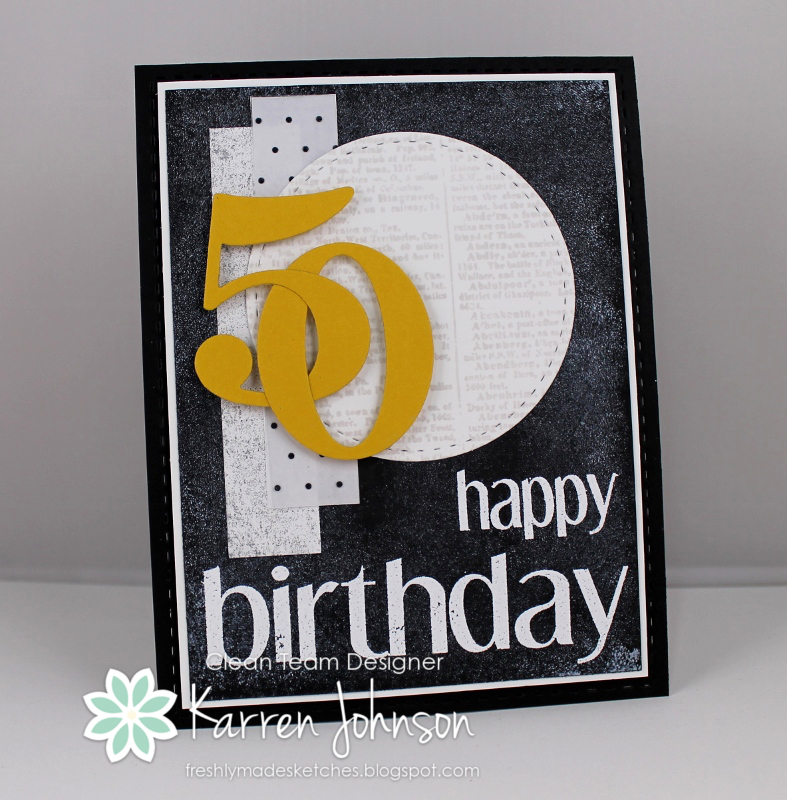 I'm entering this card into the Monday Challenge at Simon Says Stamp, which is to use stencils and stamps. Hi and welcome back. 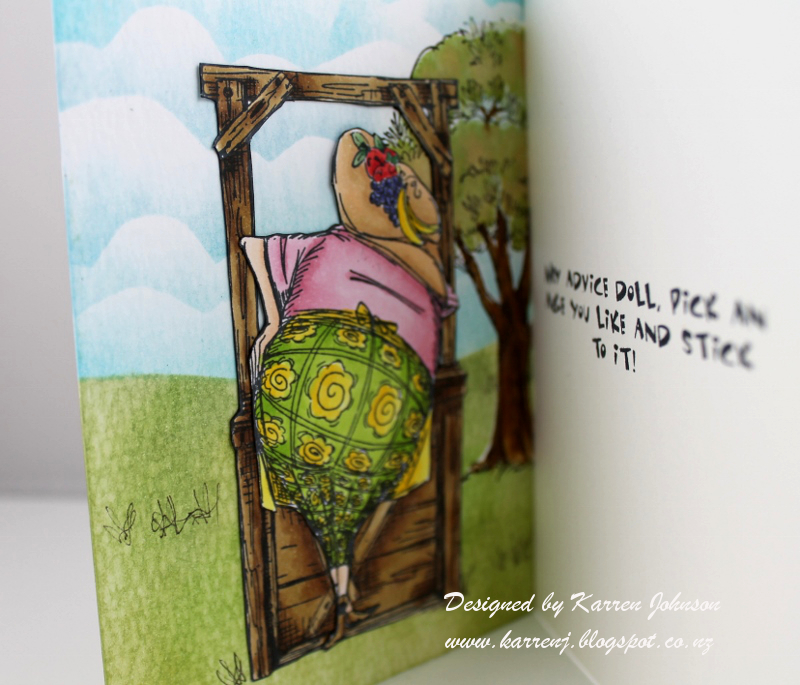 I've been invited to be Guest Designer at CASology because this card won last week's challenge! I went with the obvious and chose winged creatures - in this case dragonflies. 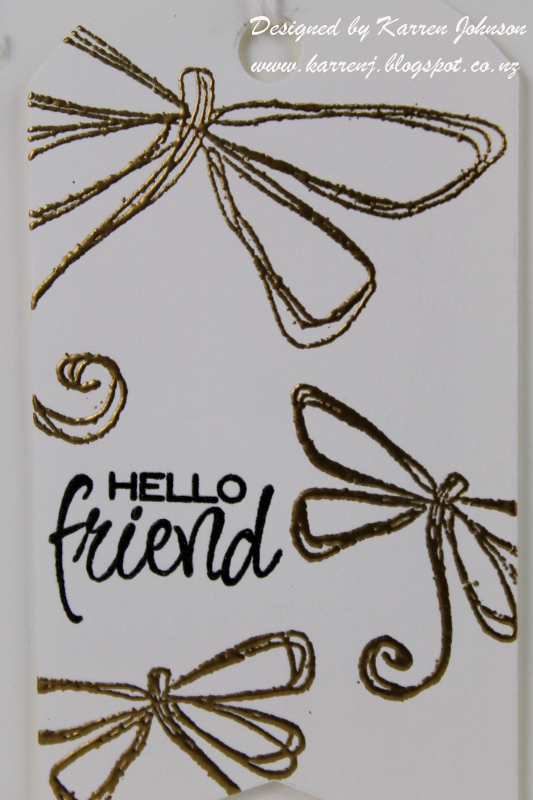 I've had these Magenta dragonfly stamps for several years and I just love their whimsical and sketchy look. I gold embossed the large one once and the smaller one twice onto a tag die cut, deliberately leaving some parts of the stamps off the tag. 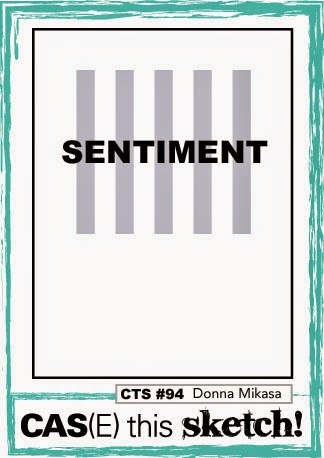 The sentiment was stamped in Versafine Onyx Black and clear embossed. My last few inches of white baker's twine were used on this card. I know I bought another pack before we had to pack up our house for our earthquake repairs but do you think I can find it? Looks like I'll have to buy some more. 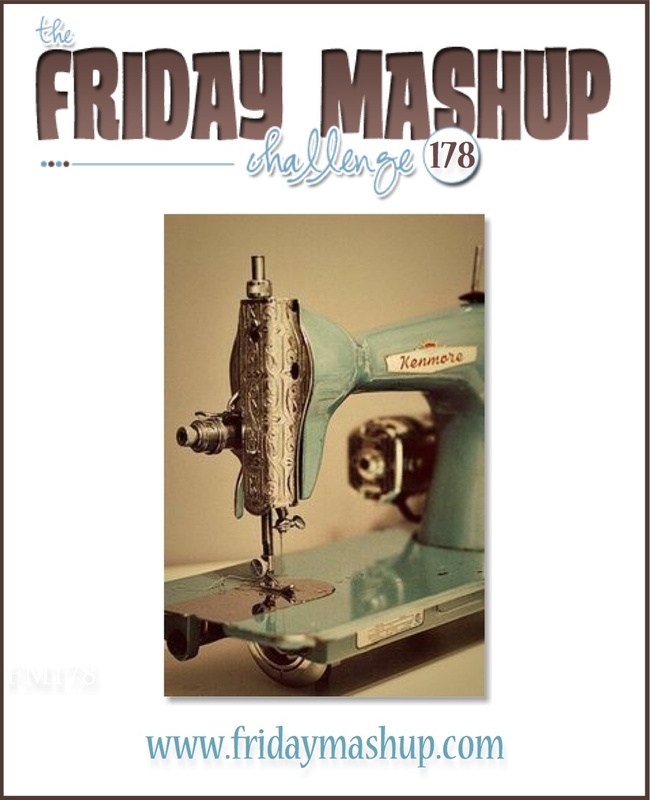 I'm entering this card into the gold and white challenge at Fab Friday. Congrats on 50 challenges! Thanks for visiting. And take the time to check out the amazing submissions from the CASology team. 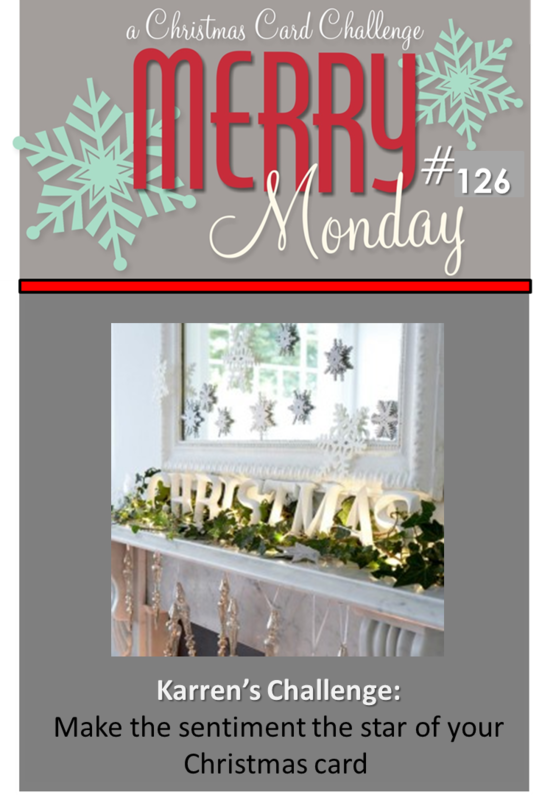 Hi and welcome to Merry Monday - the challenge that helps you get a head start on your Christmas cards! 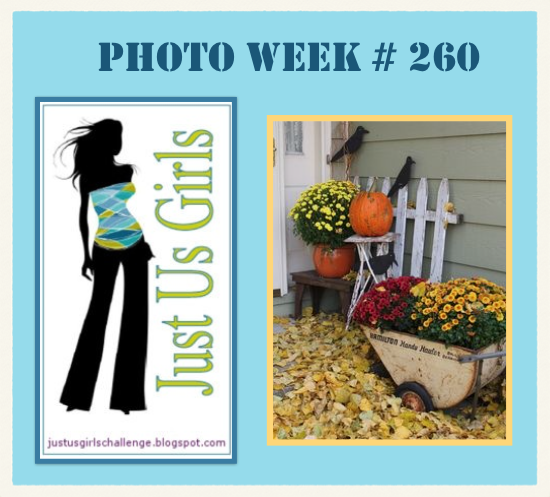 Thanks so much to everyone who joined in my challenge last week - the gallery was fabulous! This week, we have a tic-tac-toe challenge from Kathy. You're probably wondering where the sparkle is? It's there, in the form of Wink of Stella on all the gifts, but the camera just doesn't pick up that subtle shimmer. 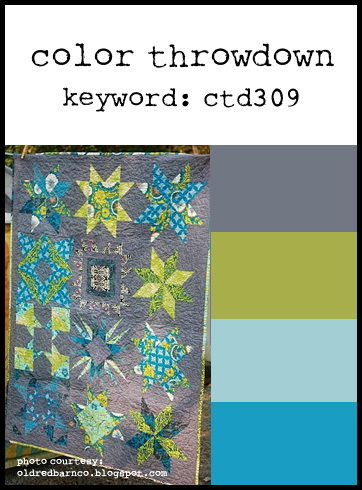 I used a new to me die from Simon Says Stamp's latest release, called Pile of Gifts. I die cut it out of Audrey Blue, Poppy Parade and white cardstock that had been coated with Green Apple ink (cos I don't have any Green Apple cardstock). I then used the inlaid die-cut technique and placed all the little pieces back into the negative die cut. 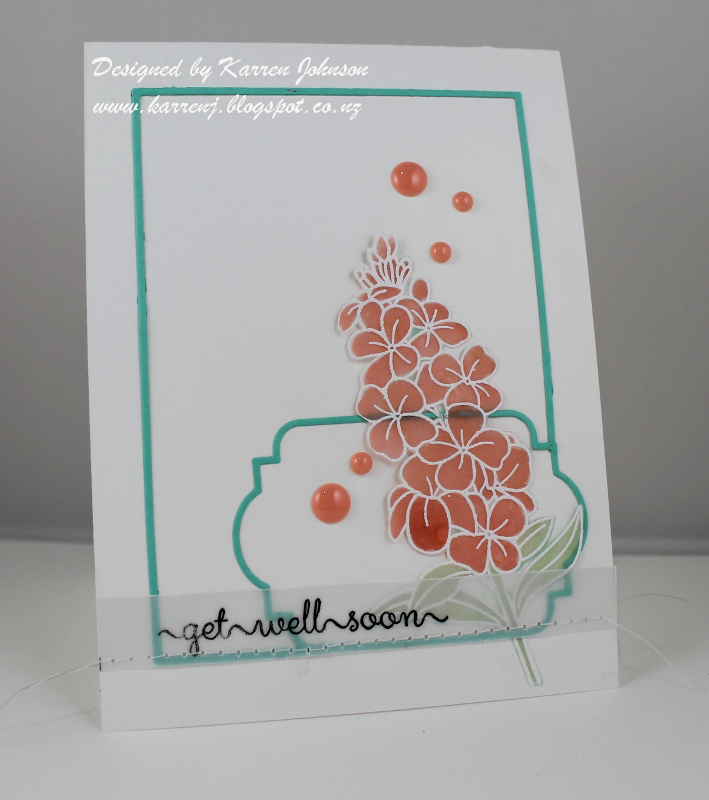 The sentiment was inked with Versamark and Poppy Parade ink then clear embossed. Isn't it clever how it just fits around the top bow on the parcel? I'm sure it was designed that way. Some enamel dots and the Wink of Stella mentioned above finish off the card. Thanks for visiting. Have you checked out the rest of the Design Team's inspiration? They're sure to delight, as always! Here's a card I made yesterday, specifically with the following challenges in mind: Friday Mashup to use vellum and/or stitching; the colors from Color Throwdown, the sketch from CAS(E) This Sketch and the get well challenge at Catered Crop (my first time playing there). If you want a laugh, check out the bottom left of the sentiment strip - see the pencil mark that I forgot to erase before taking the photo? Doh! Anyway, onto the card. I white embossed the flower image onto vellum and colored from the back using Crisp Cantaloupe and Pistachio Pudding ink refills and a paintbrush. 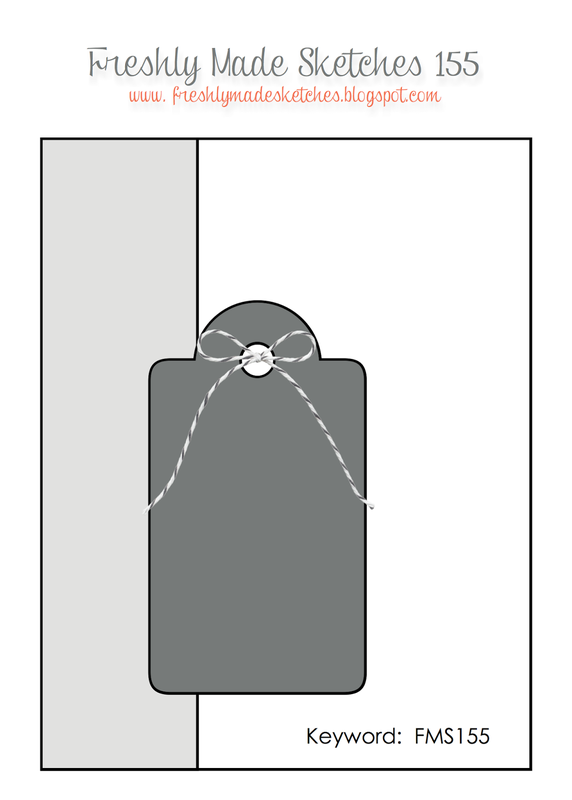 The frames were cut from a SSS frame die cut set and the bottom right corner of the rectangular frame was completely cut away so that only the curved frame showed. 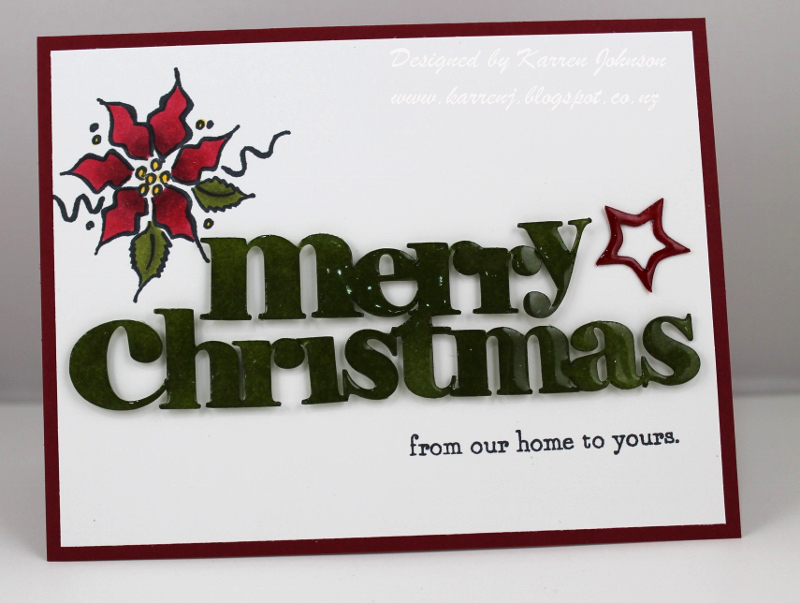 The sentiment was stamped in black Stazon and then stitched onto the card base using my sewing machine. I just had to buy a new sewing machine because my old Janome up and died. I bought that baby back in the late 80's, so I can't complain. Edited to Add: This card got a shout-out at Friday Mashup. My boss (well, he was my boss up until a couple of weeks ago) turns 50 soon and he and I have a standing joke each year about who is the oldest, because he is only 3 weeks older than me. I decided I couldn't let his 50th go by without a card to rub it in celebrate. The DSP strips in the background are from the old Night & Day Specialty DSP which I hoard! The polka dot piece is actually printed acetate which I've adhered to a piece of white cardstock so it stands out a bit more. 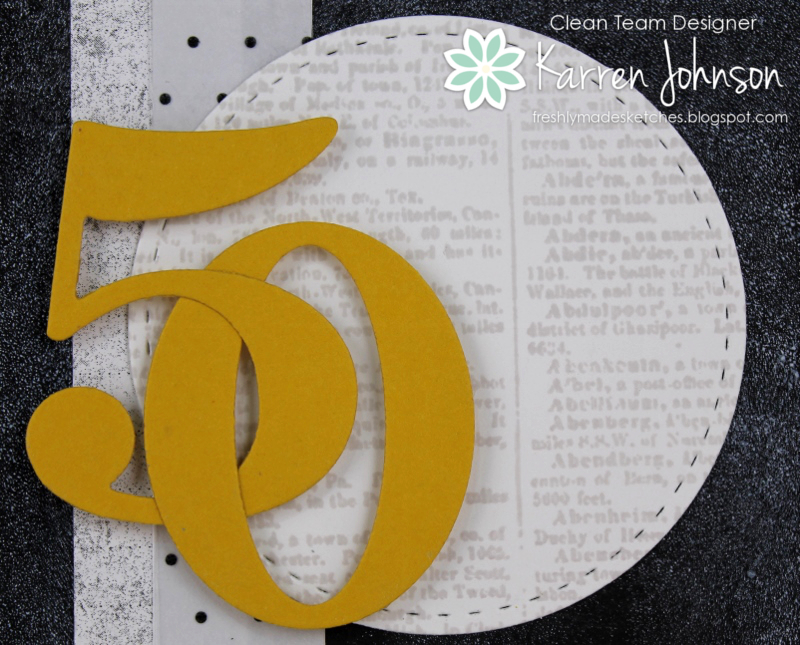 I cut the "50" from Hello Honey cardstock and adhered it using dimensional adhesive onto a circle stamped with the Dictionary stamp in Fog ink before being cut with a circle die. Thanks for visiting. 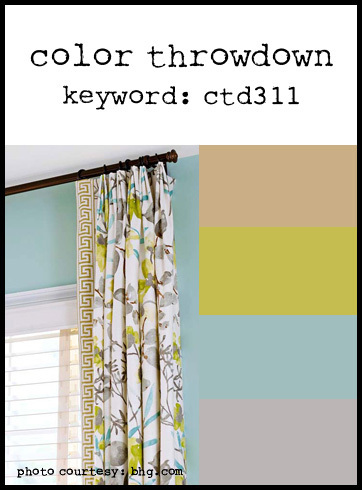 Don't forget to check out the fabulous inspiration from the rest of the design team. They'll amaze you, as always! 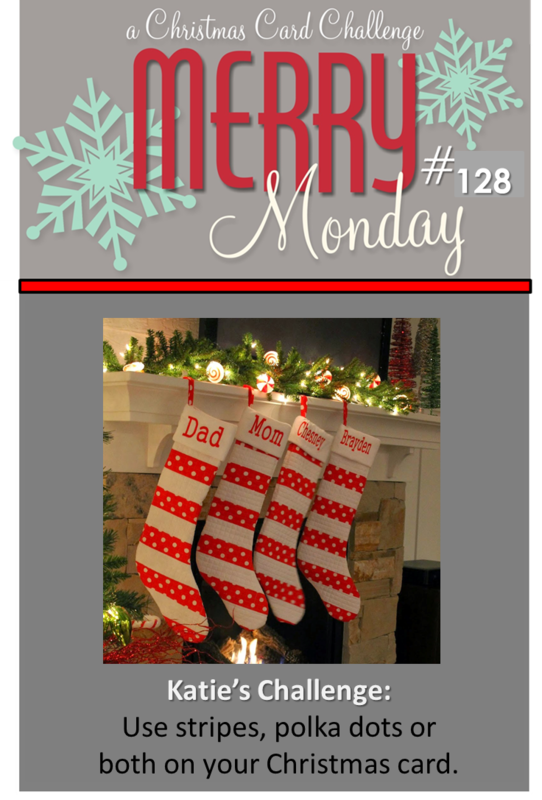 Hi and a very special welcome to the Merry Monday challenge. This week it's my turn to host and I chose what I think is a fun challenge. I had a vague idea when I came up with the challenge what I wanted to use for my card. Unfortunately, that idea didn't pan out and I had to go back to the drawing board. 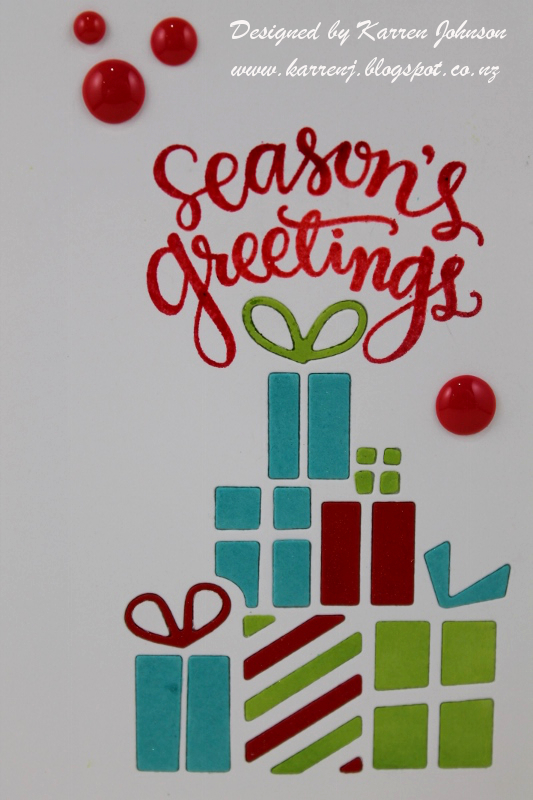 I wanted a really big sentiment, so ended up using a Silhouette cut file. 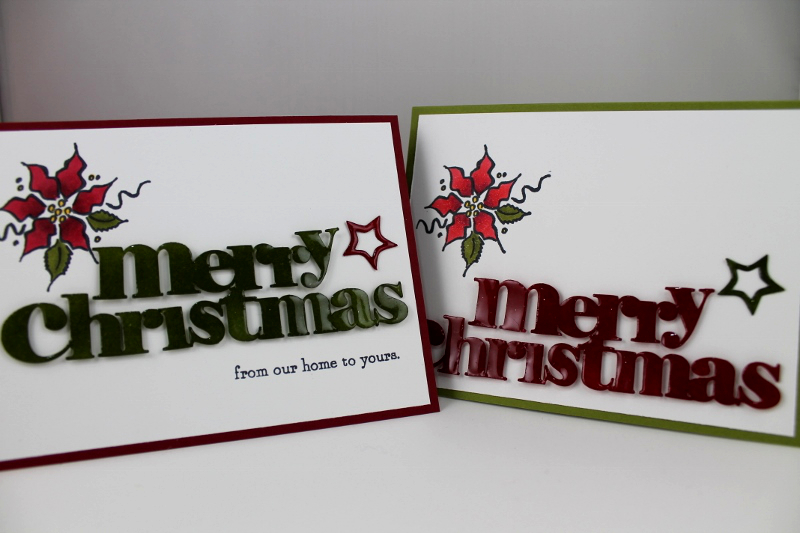 My plan was to use the "Merry" in one color and the "Christmas" in a second color, but when it came out of the Cameo, it looked too nice to cut up, so I ended up making two cards. 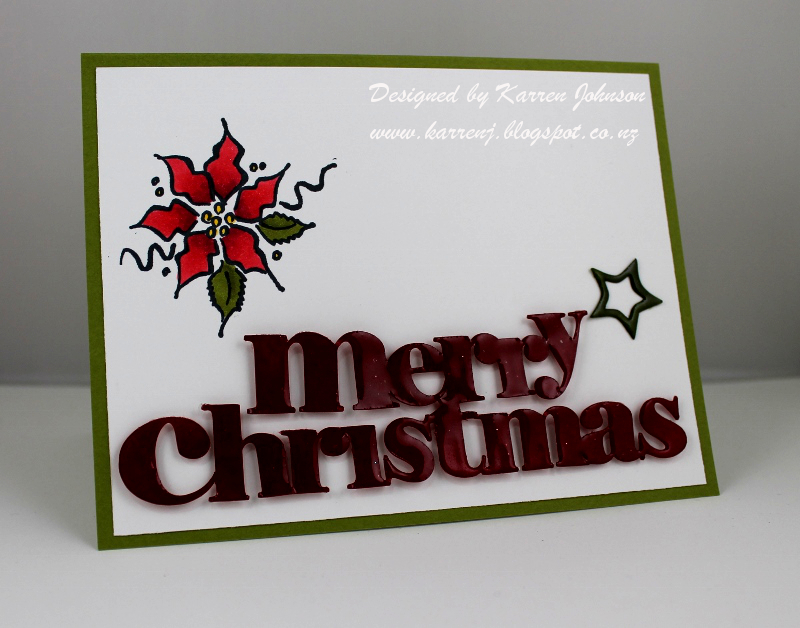 And because I used a very old NBUS stamp (the poinsettia), I'm also entering this into Darnell's second NBUS challenge. I've had this Penny Black stamp for many years and this is the first time I've used it. I colored the image with Copics. 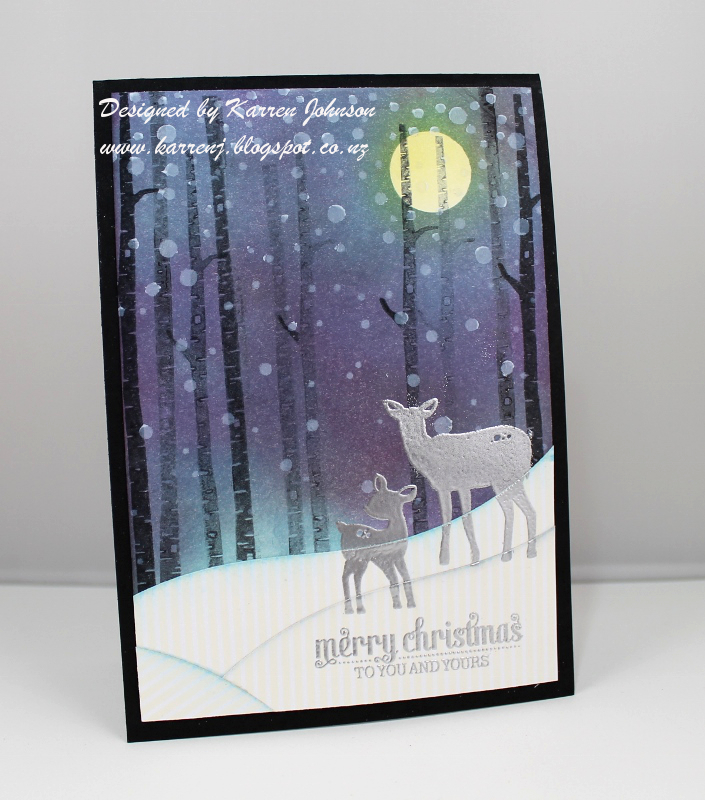 The Silhouette sentiment was clear-embossed three times to give it a lovely shiny, raised finish. It was then adhered using 3,482 tiny little bits of dimensional tape :) Here's a close-up (and BTW it looks all speckly in this photo, but it's not really). Congratulations, Darnell on 600+ followers! What an achievement! Thanks for visiting. Please check out the wonderful inspiration from the rest of the design team and give my challenge a go. 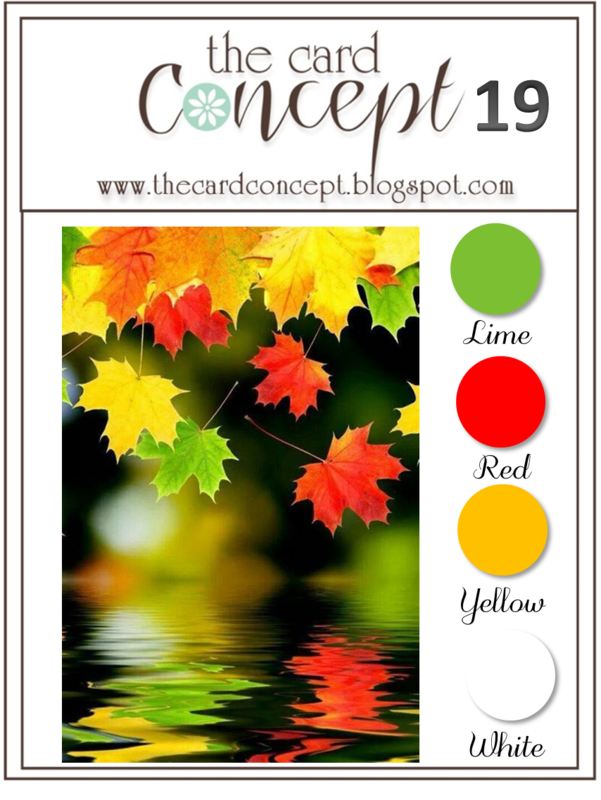 I made a card today using the gorgeous colors from Color Throwdown and the versatile sketch from Viva la Verve. I went with a Basic Gray cardbase for this card which always adds a bit of drama! The flowers were colored with Copics and the leaves were stamped with Lucky Limeade ink. 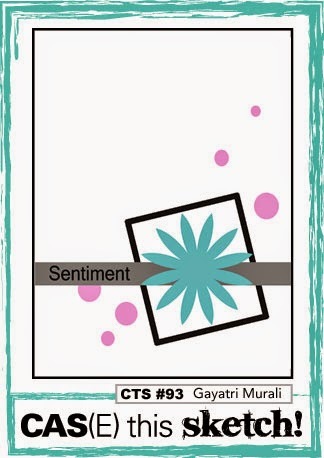 The sentiment panel was a piece of white cardstock that I colored with Copics to match the darker blue flower. I then white-embossed the sentiment from Poppy Birthday. 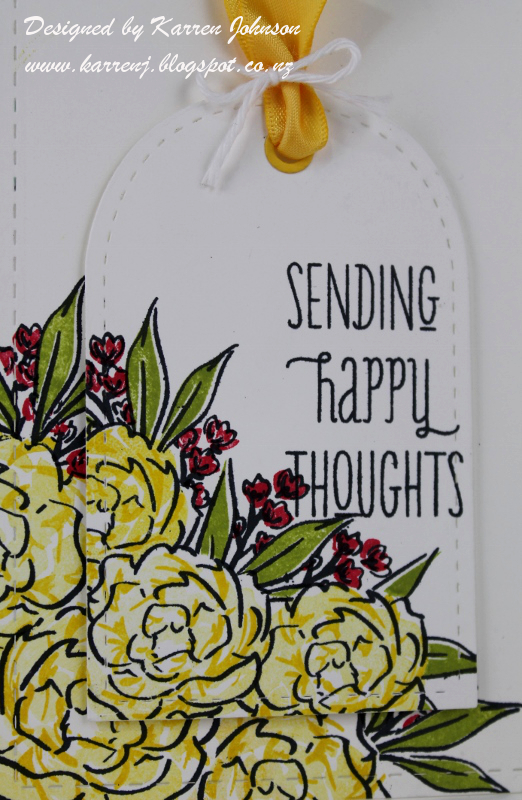 The center of each flower and the sentiment panel were painted with clear Wink of Stella for a subtle shimmer. 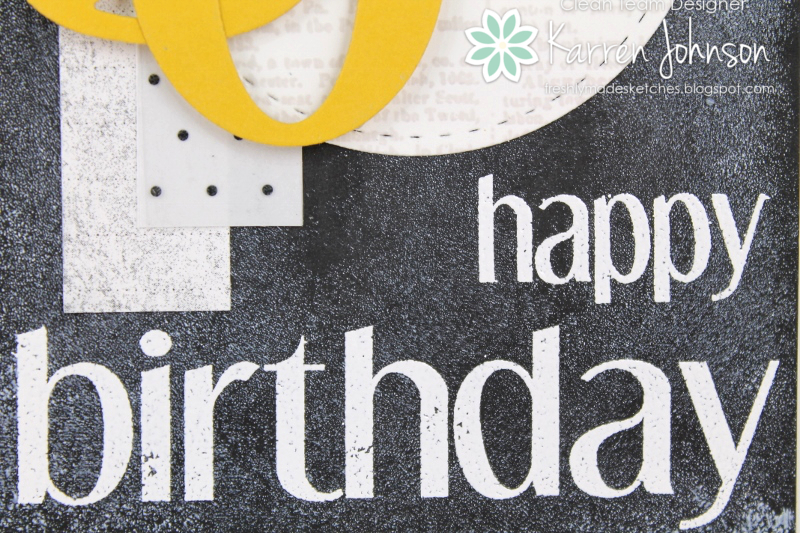 Edited to Add: This card was featured on Viva la Verve and was also Featured Stamper on Color Throwdown. Today's card combines three challenges: the sketch from Fusion, the colors from ColourMe and the word from CASology. I stuck with a white on white card accented with some spritzing using Coastal Cabana ink in the top right and bottom left corners. The flower panel is raised on dimensional tape. 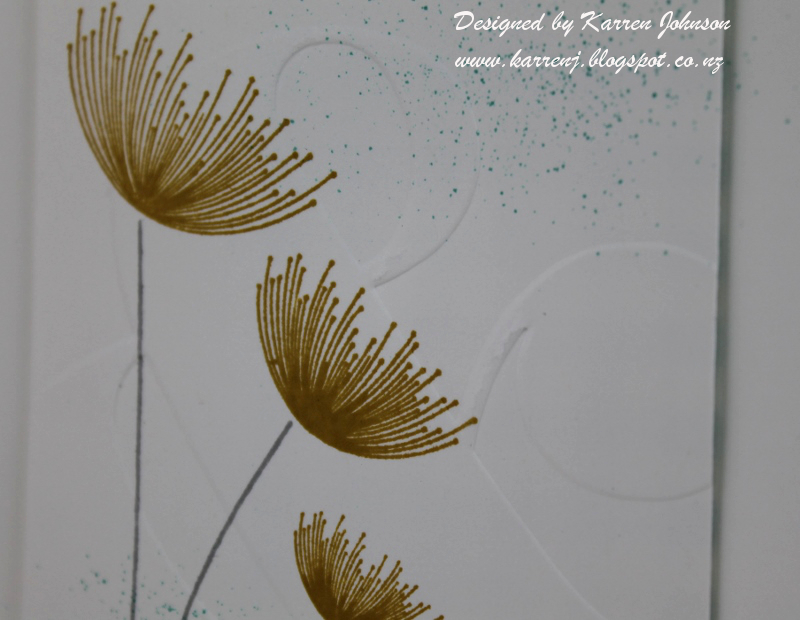 The dandelions were stamps with Hello Honey ink and the stems stamped in Smoky Slate ink. 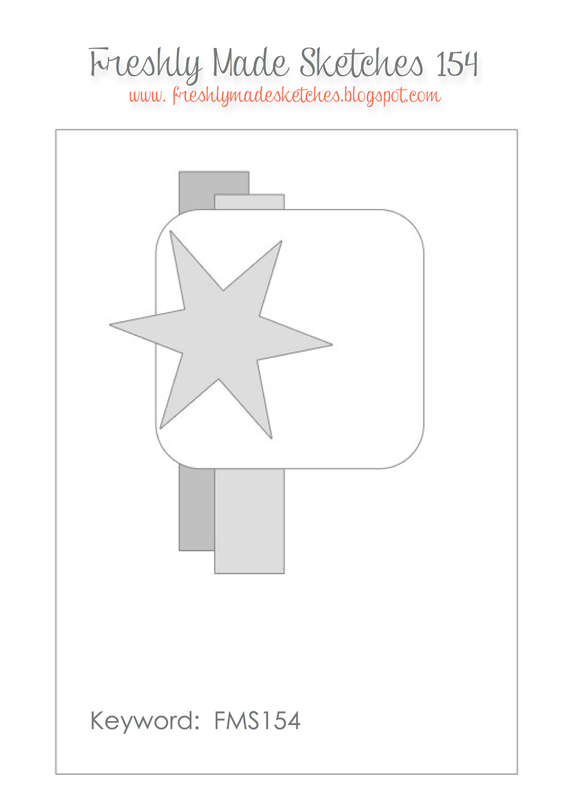 The sentiment was clear embossed and the sequins and enamel dot are meant to represent the star shape in the sketch. What isn't apparent from this photo is that the flower panel is dry embossed with the Ampersand folder to give a bit of added texture. Here's a close-up where you can just make out the embossing. 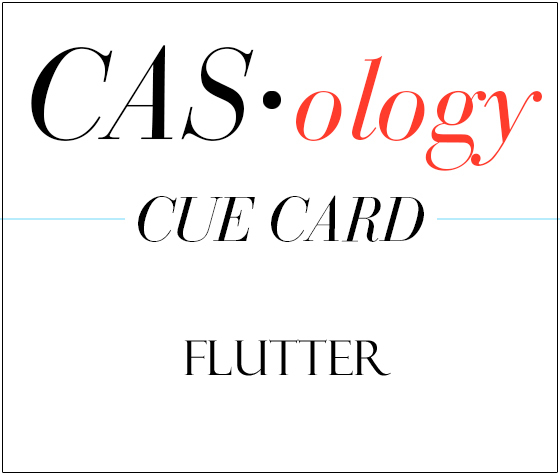 Edited to Add: This card got top honors at CASology this week and a shout out at Fusion.